It’s not difficult to get swept up by the wildness of Kruger, the elegance of the Winelands, or the sophistication of Cape Town. But it is the small beach towns in South Africa that get to the heart of what it is to experience the country’s diversity – its different climates, and cultures. Right around the coast, from Alexander Bay on the west coast to St Lucia on the east coast, are beach towns worth visiting. 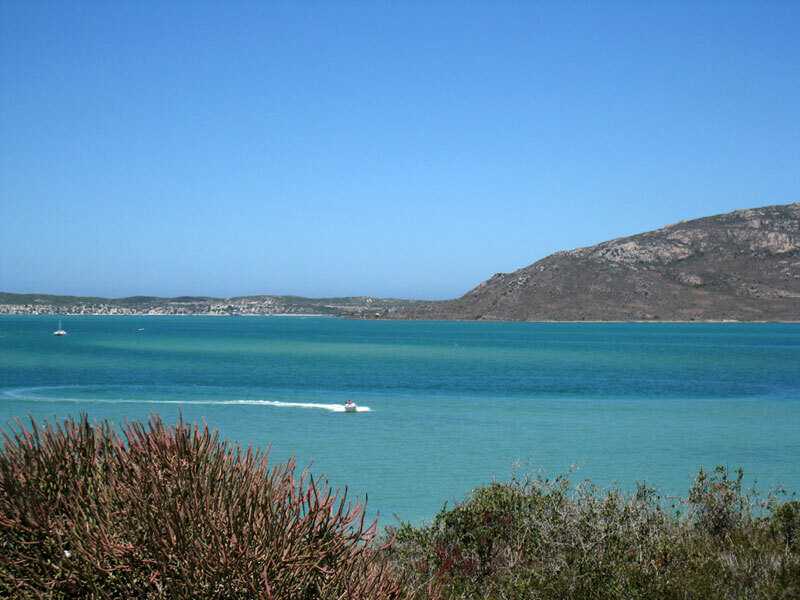 Famous for its brilliant blue lagoon and Caribbean-style beaches, Langebaan is only 100 km from Cape Town, so it’s popular, particularly its beachside restaurants. But even on a busy weekend you’ll manage to find a space for solitude. 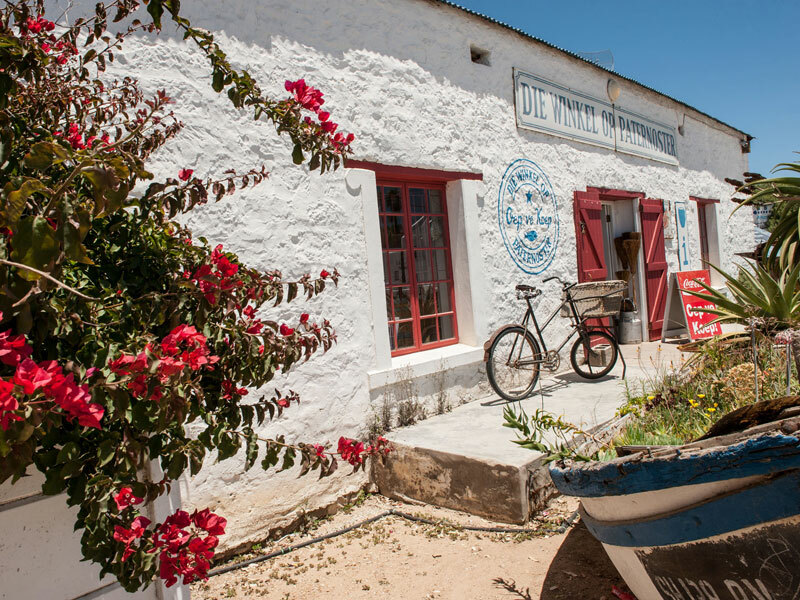 This West Coast fishing village has a long, sandy and boulder lined beach rung round by whitewashed cottages and a couple of sophisticated restaurants. It’s become something of a weekend mecca for Capetonians and top of our list of favourite beach towns in South Africa. 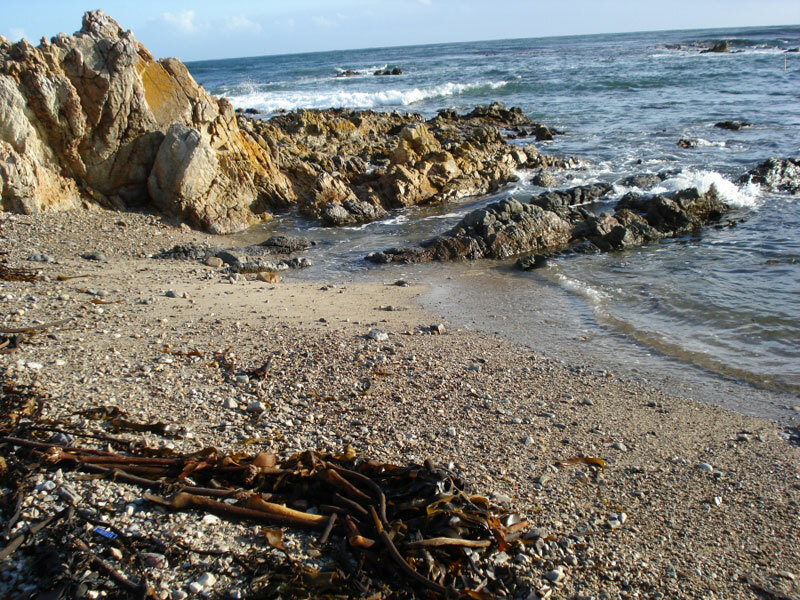 Lying within the Kogelberg biosphere Pringle Bay rests at the foot of Hangklip Mountain, a perfect seaside village, its beauty unmarred by tarred roads and street lights, its beach awash with rock pools perfect for diving. 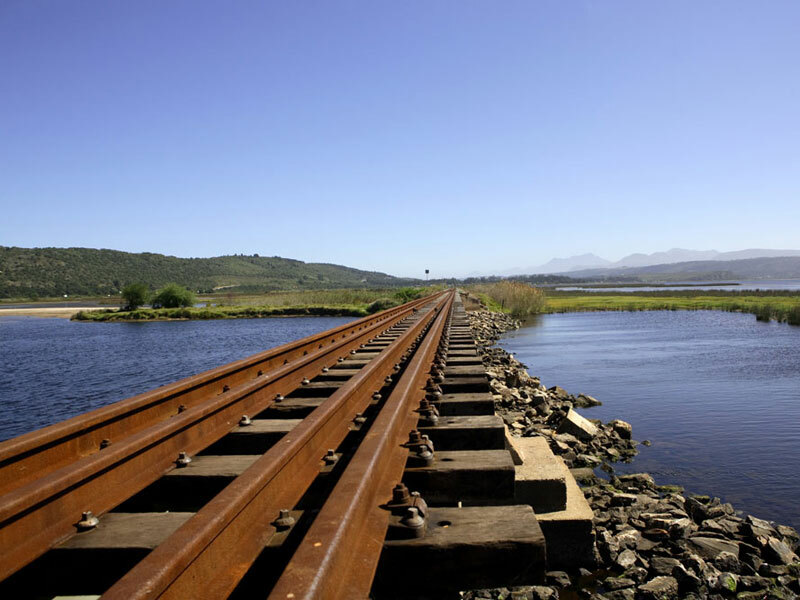 Vermont is just outside Hermanus – the Overberg whale capital – but unlike Hermanus it is quiet and more village-like, its beach a series of tidal pools and rocks, and its salt pan perfect for spotting birds. Named after a series of underground caves beneath the cliffs, De Kelders, which is Dutch for ‘the cellars’, is one of the best places to catch a glimpse of the southern right whale from the shore. Less frequented by the crowds makes it a firm favourite in our list of top beach towns in South Africa. 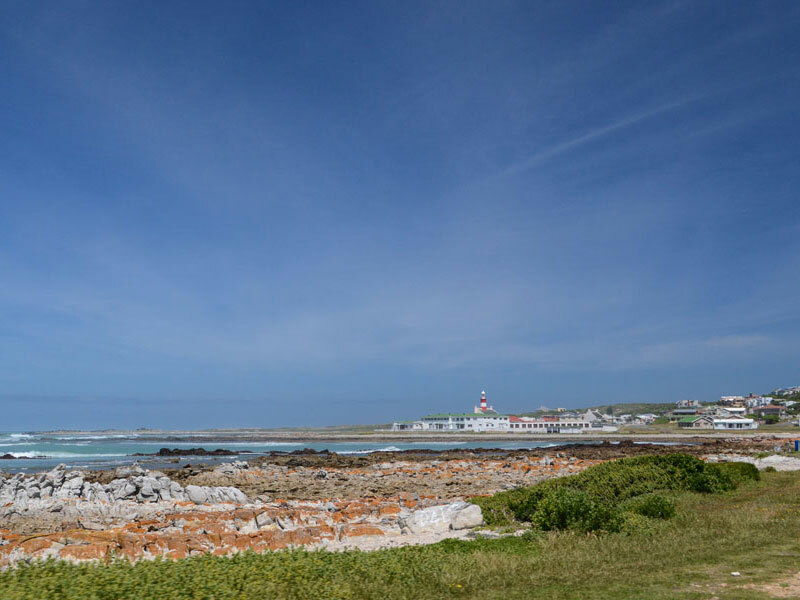 The Overberg village of Agulhas is Africa’s southernmost point – a beautiful shoreline with an interrupted sandy beach and an adjacent, rugged coastline that is a National Park. A highlight is to climb the lighthouse. Arniston used to be a fishing village so it’s still filled with little whitewashed cottages and local fishermen. 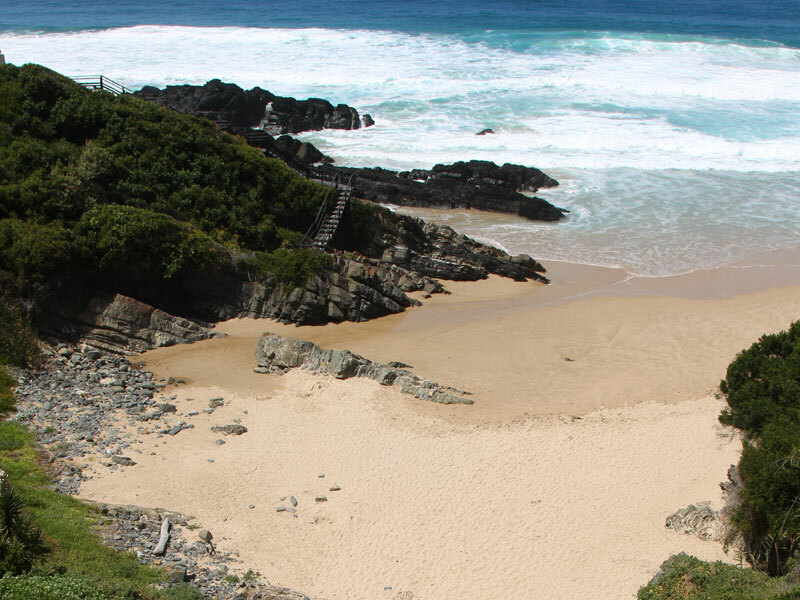 It’s also where you can visit Waenhuiskrans, a cave just offshore the adjacent nature reserve. 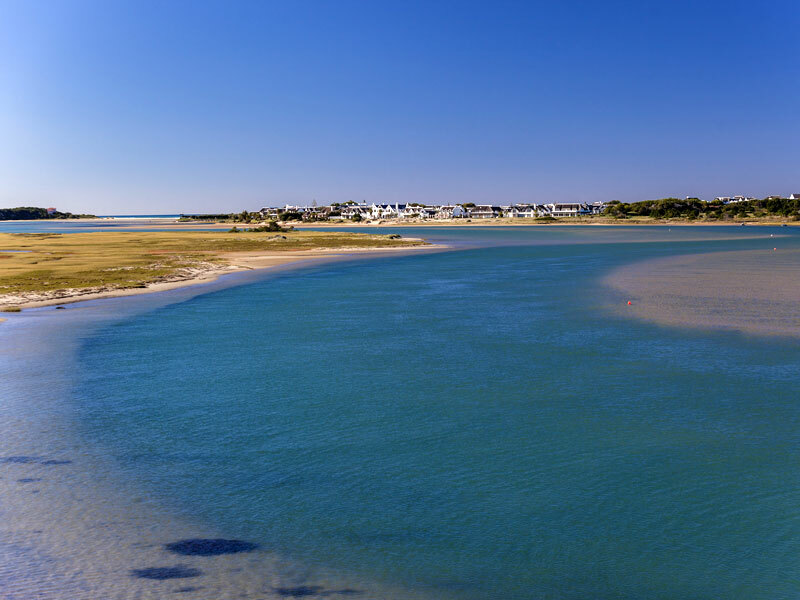 Witsand is where the Breede River flows into the Indian Ocean creating a beautiful estuary great for swimming, windsurfing and deep sea fishing. 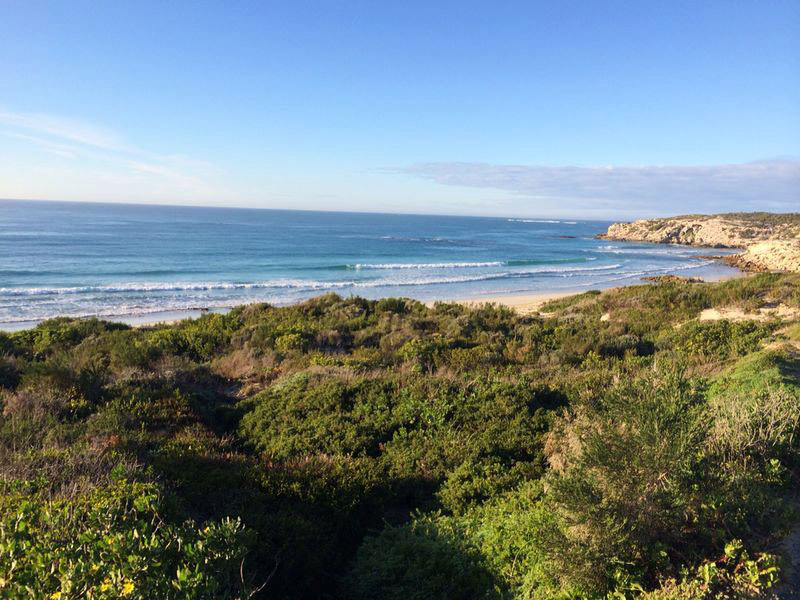 But it’s also on St Sebastian Bay where the southern right whale comes annually to calve. 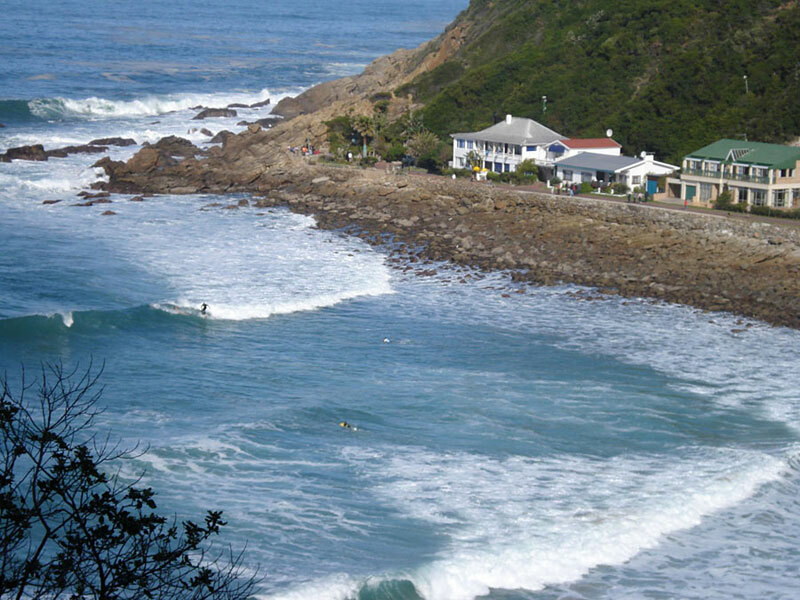 Enclosed by cliffs with a gently sloping beach Victoria Bay is great for swimming and surfing. 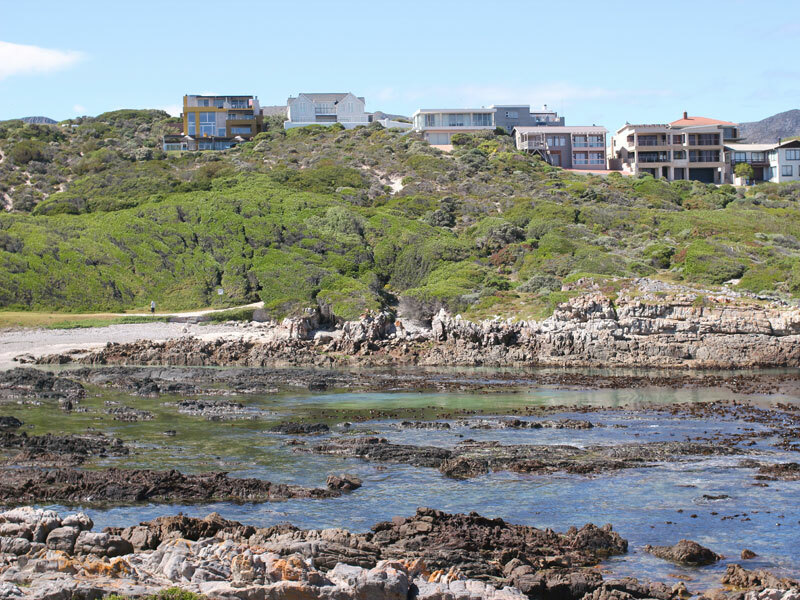 It has a tidal pool, boardwalk and jetty as well as a series of natural paddling pools in amongst the rocks. Sedgefield’s sand dunes are what makes it so special. 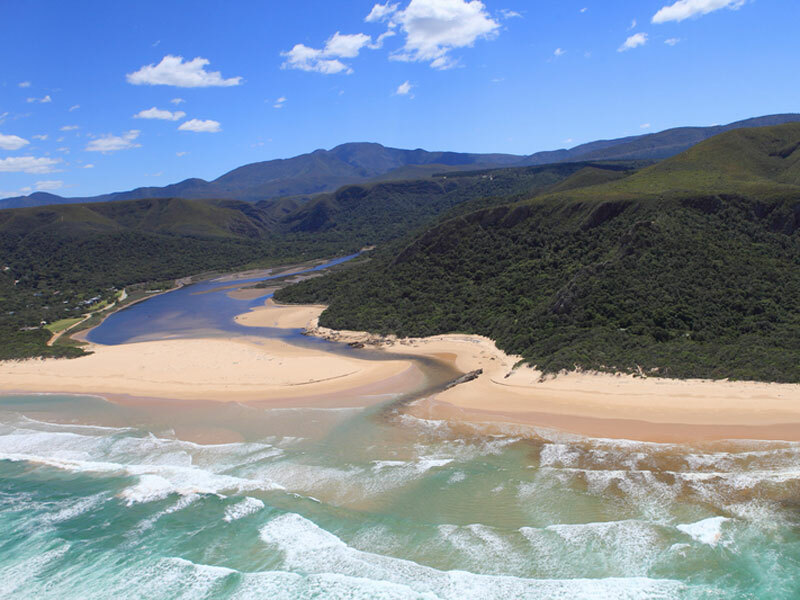 They stand century like protecting Sedgefield’s beaches, including the beautiful Myoli Beach, one of five beaches set in front of the lagoon and dunes. The walk from Swartvlei to Platbank at low tide has a heavenly quality to it. Perched on a hillside Plettenberg Bay overlooks the sea. 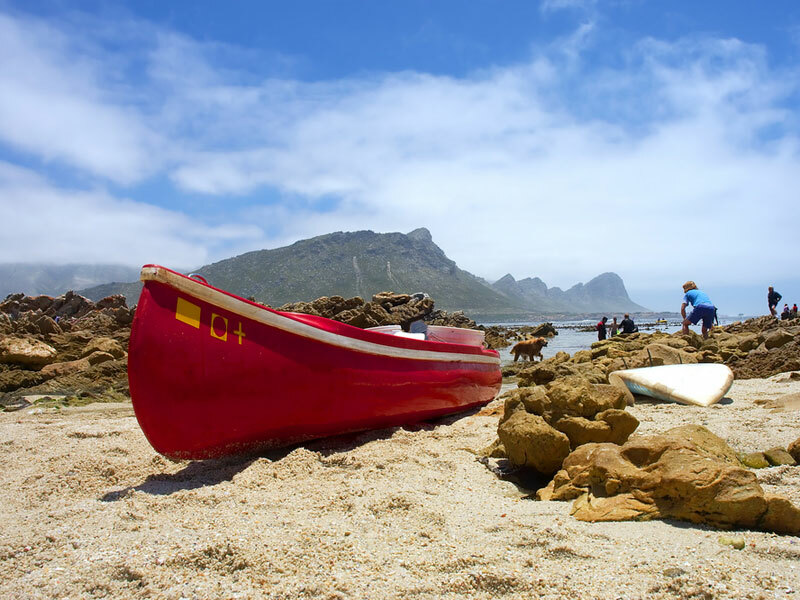 It’s a popular haunt, particularly for Capetonians, not least for its miles of beach but also for its friendly, relaxed atmosphere and spectacular scenery. 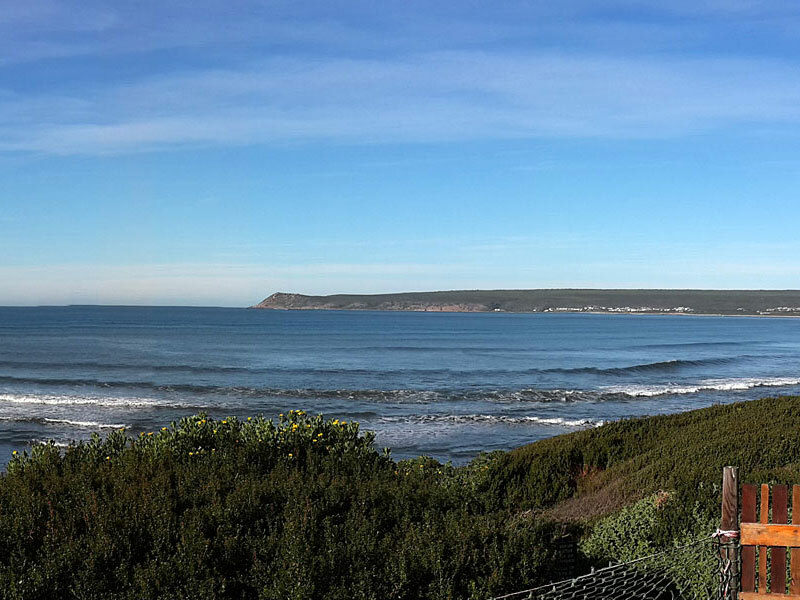 You’d be hard pressed to find a better beach town in South Africa, but may have to share it, depending on when you go. 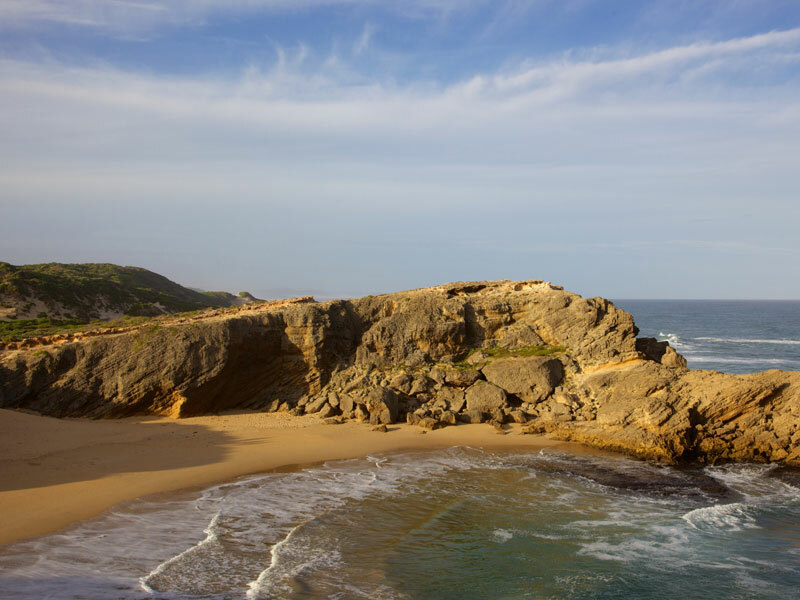 The seaside town of Keurboomstrand is just outside Plett, its beautiful beaches not quite as well known, but for all that, beautiful, particularly if you add the forested headlands and rock formations that in the right light make for interesting photographs. 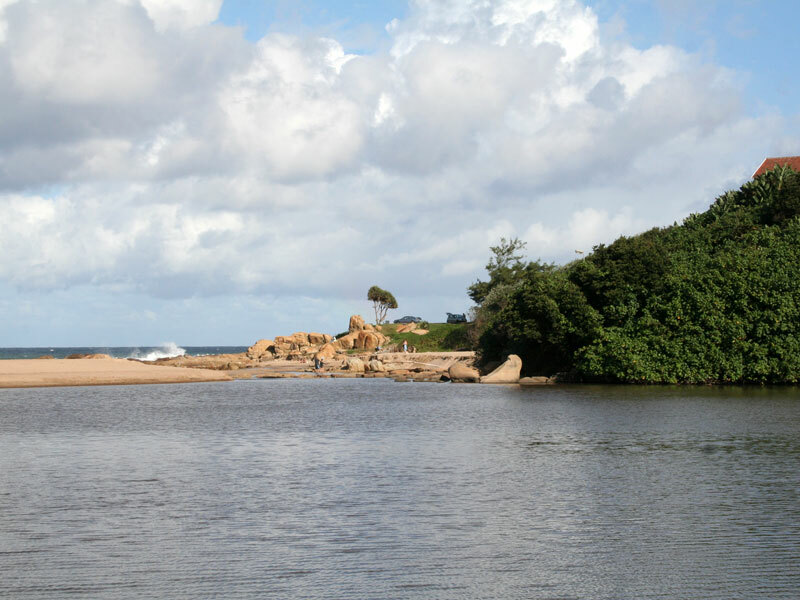 Nature’s Valley is a feast of indigenous forest, surrounding hills, a sheltered lagoon and a Salt River Mouth.It lies bounded by the De Vasselot Nature Reserve and the beach, with only one access road bringing the odd visitor. The SANParks campsite is highly rated, and the homes lie unobtrusively in amongst the trees. If you can find a house within walking distance of the beach, you’re in beach holiday heaven, because Cape St Francis manages to avoid the ostentation of St Francis Bay whilst retaining its emphasis on white sand, historic lighthouse and plenty of nature reserve. 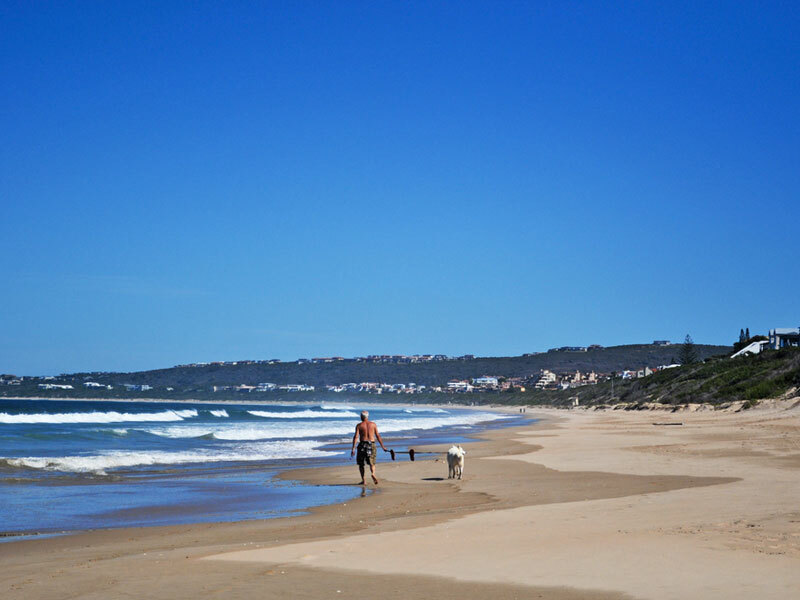 JBay is de-stress capital of the Eastern Cape. Surfers love it, holiday makers revel in the combination of laidback seaside living and access to great beaches. If the crowds get too much head to Paradise beach for its dunes and long walks. You can’t get more of a beach experience than Kenton-on-Sea. 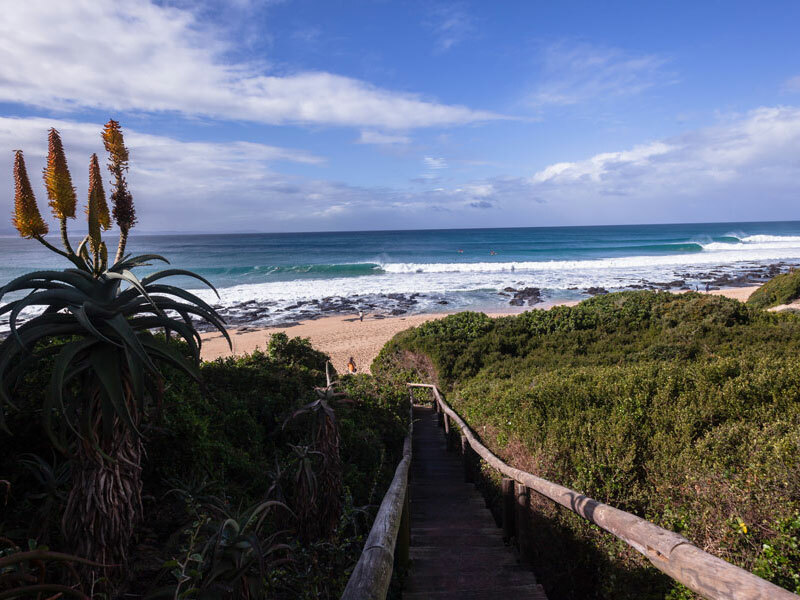 Two river estuaries meet the sea on either side of town, whilst in between is nature reserve and a series of secluded beaches, perfect for swimming, splashing and soaking up the sun. 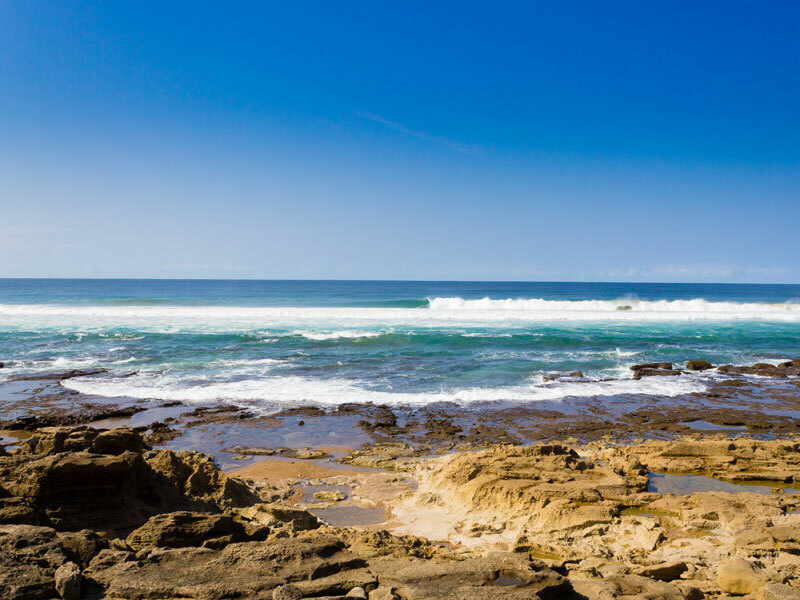 Coffee Bay’s Hole in the Wall is much photographed, and has placed the Wild Coast village firmly on the map, thanks to Instagram. The rural village is an unbeatable combination of green hills, cliff paths, sandy beaches and a feeling of remoteness that you don’t often find. Ramsgate is a quieter beach town than its neighbour, Margate, which is commercial enough these days to compare itself to the UK’s Margate. 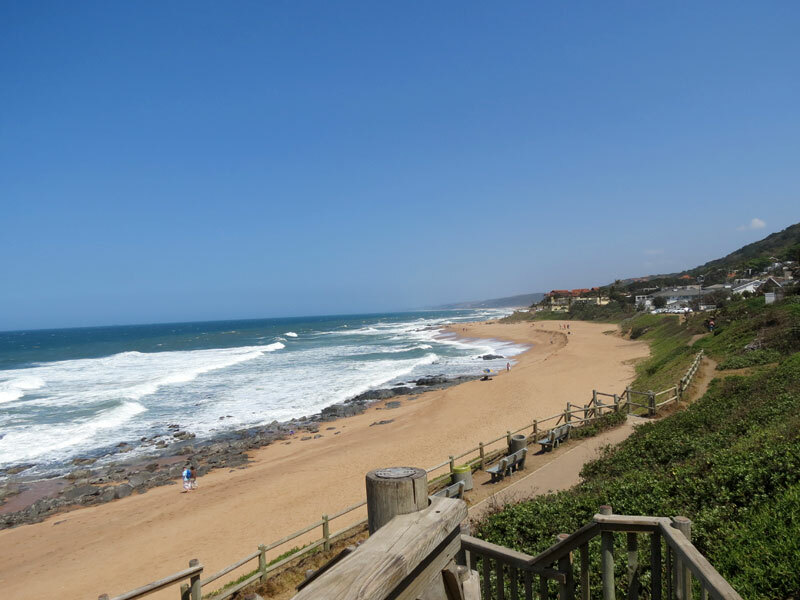 Set on the Hibiscus Coast, south of Durban, it’s lovely little town and perfect for seaside holidays. You might want to avoid Ballito during December, but otherwise it’s one of the best swimming experiences on the Dolphin Coast north of Durban, with plenty of hotels along its beach, and perfect for anyone after a typical beachside holiday. 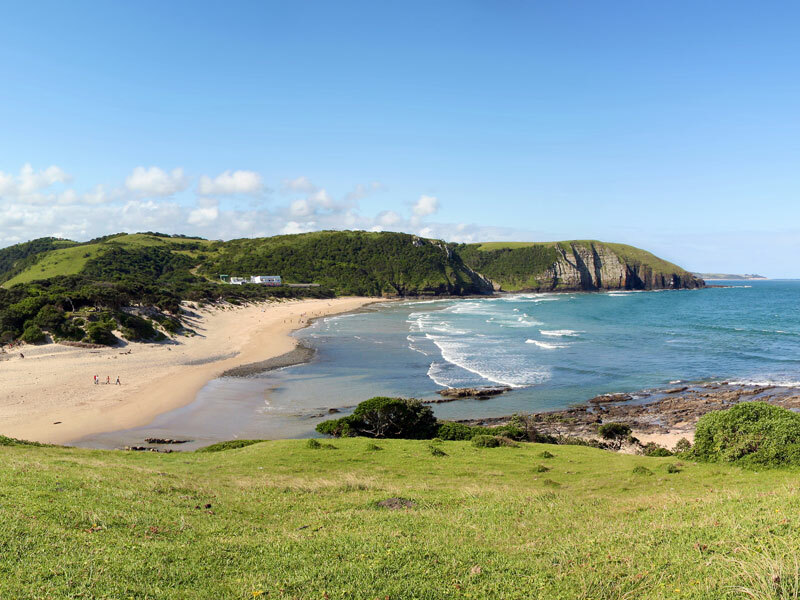 South Africa’s east coast is the tiny beachside town of St Lucia, surrounded by the iSimangaliso Wetland Park, making it something of a ‘doorway’ town. It’s quiet and unassuming with ample tropical vegetation, wetlands and beautiful beaches. Which are your favourite Small Beach Towns in South Africa?